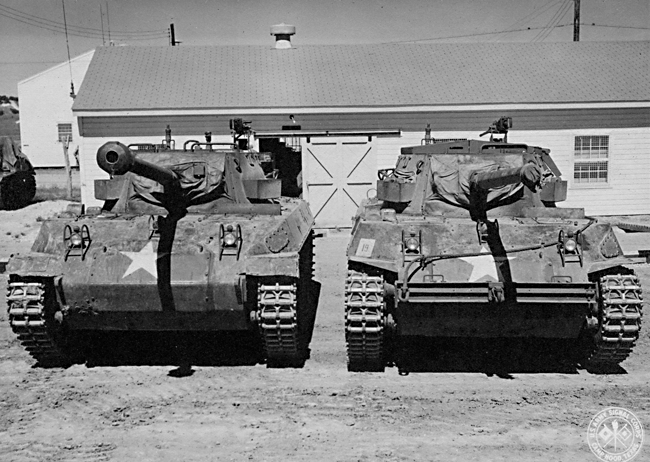 Two of the T70 (later designated the M18) tank destroyers. The one on the right has an experimental cover on the turret area. Photo courtesy of the Tank Destroyer Association by L. L. Gill, TDA Historian. Experimental Armored Personnel Carrier on T-70 chassis. Photo courtesy of the Tank Destroyer Association by L. L. Gill, TDA Historian. 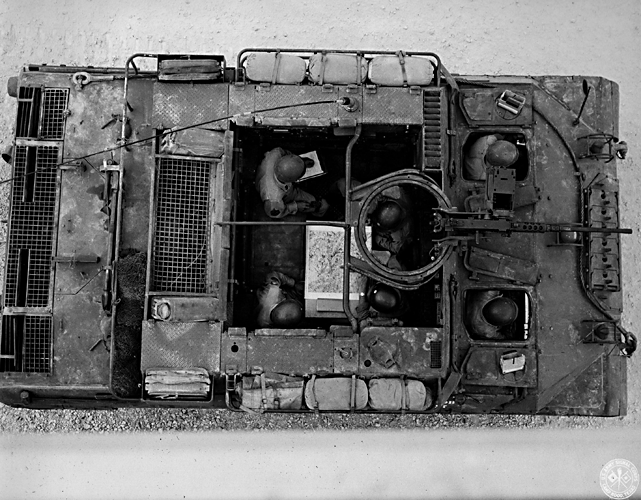 Aerial view showing seating arrangment for experimental Armored Personnel Carrier on T-70 chassis. Photo courtesy of the Tank Destroyer Association by L. L. Gill, TDA Historian. 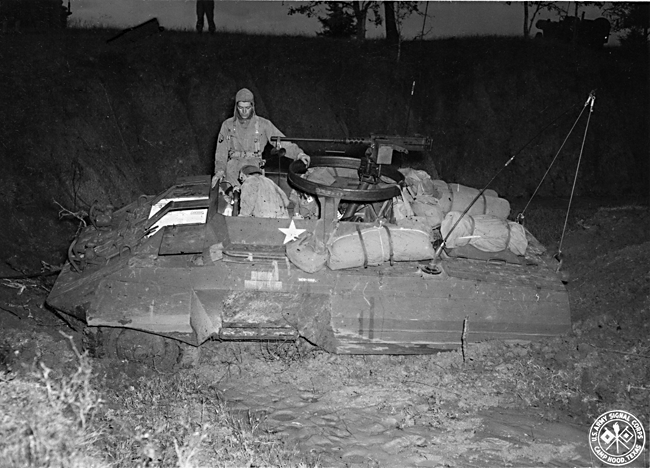 Photo courtesy of the Tank Destroyer Association by L. L. Gill, TDA Historian. 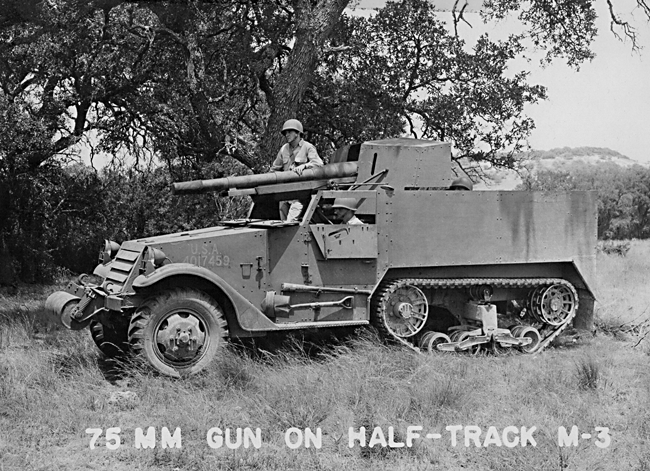 This appears to be an experimental mounting of a remote-controlled .50 cal. 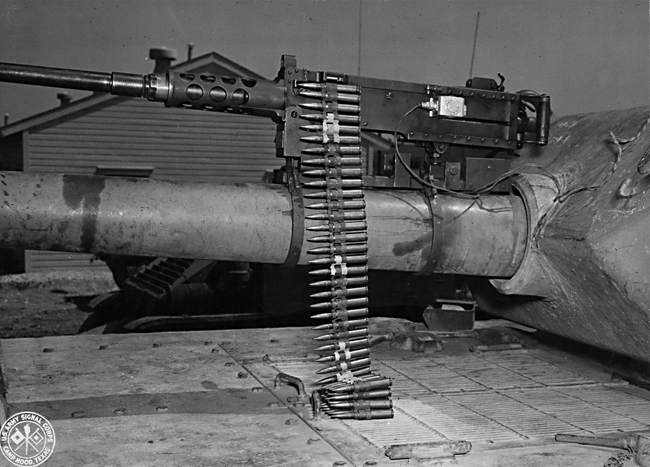 machine gun on the main gun barrel of an M-10 tank destroyer. 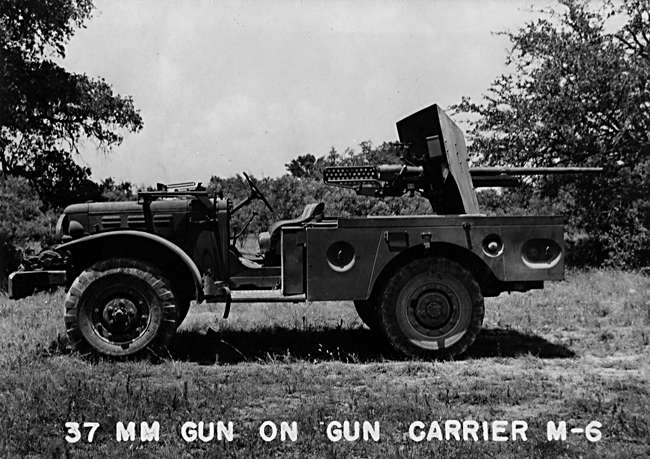 The lack of a machine gun that could be fired while the crew was inside the vehicle was an oft-heard complaint from TD personnel. Photo courtesy of the Tank Destroyer Association by L. L. Gill, TDA Historian. 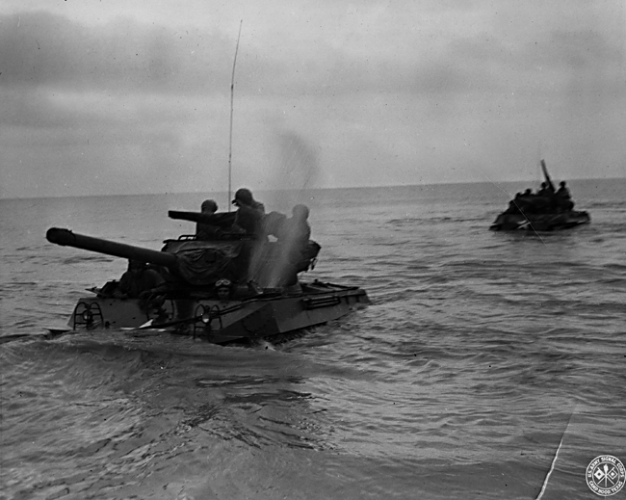 Part of the T-70 testing was a 1000 mile trip to the Gulf of Mexico. Shown here are some of the vehicles driving in the ocean after reaching the gulf. 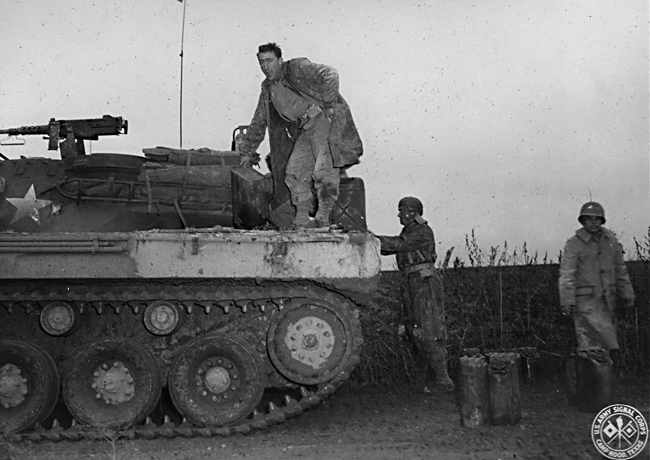 Photo courtesy of the Tank Destroyer Association by L. L. Gill, TDA Historian. 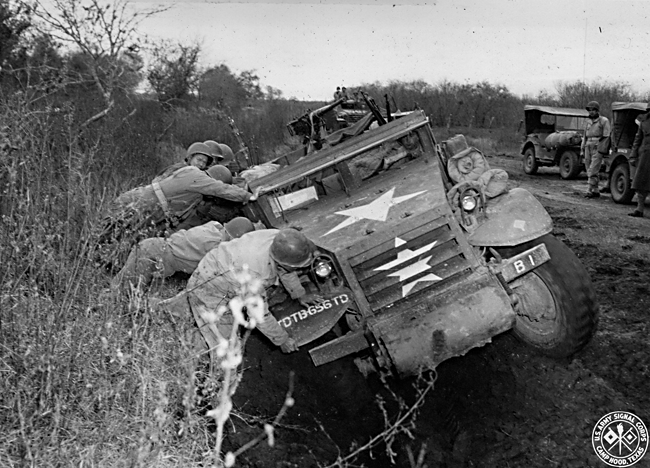 A half-track from the 656th TD Battalion stuck in a ditch. 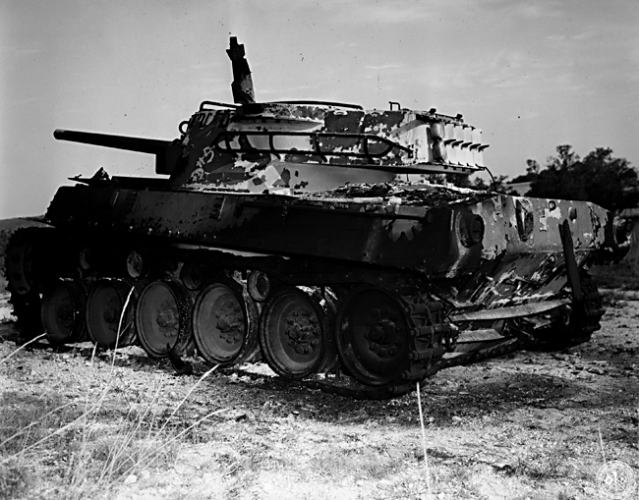 Photo courtesy of the Tank Destroyer Association by L. L. Gill, TDA Historian. 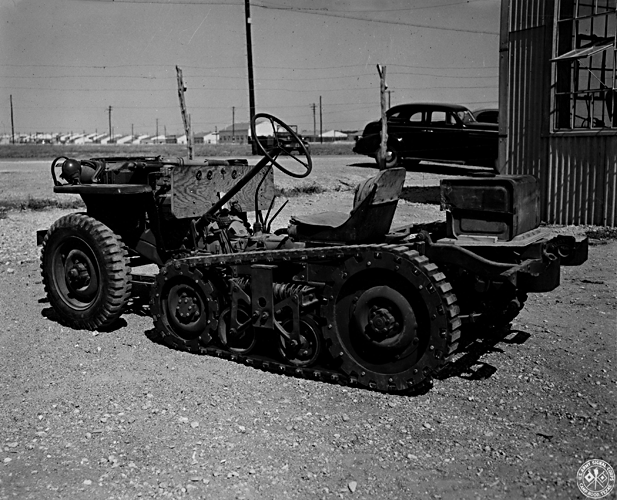 Experimental Armored Personnel Carrier with a trailer. 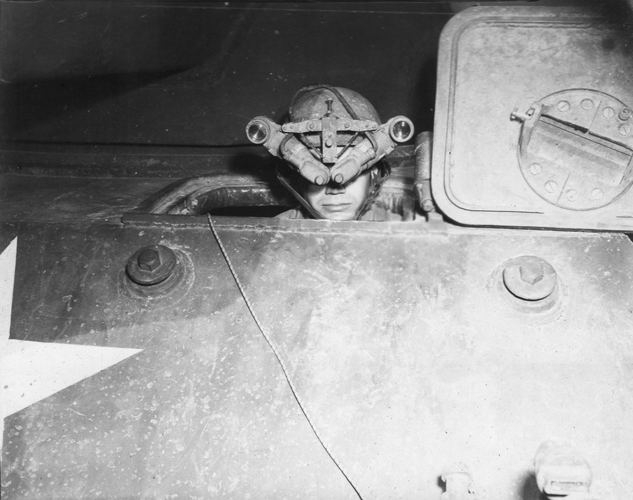 Photo courtesy of the Tank Destroyer Association by L. L. Gill, TDA Historian. 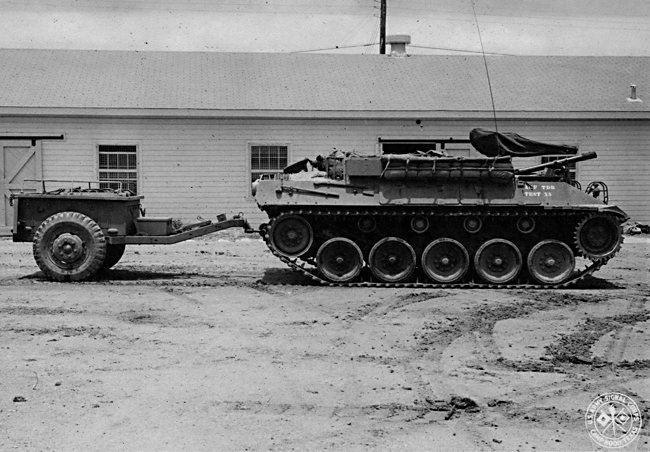 Experimental Armored Personnel Carrier with trailer and towing an anti-tank gun. Camp Hood, TX. 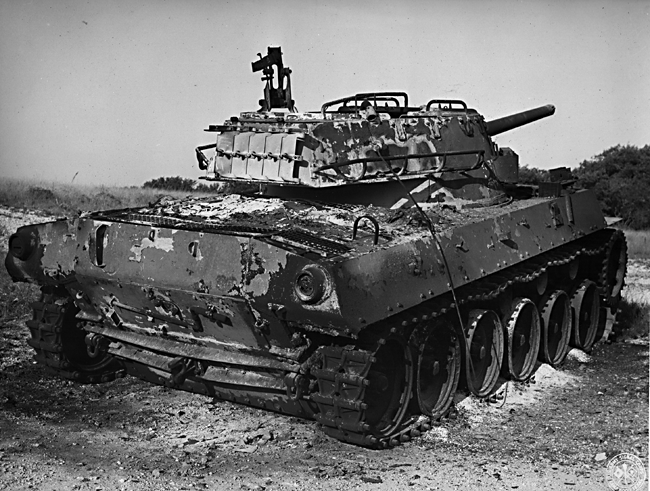 Photo courtesy of the Tank Destroyer Association by L. L. Gill, TDA Historian. Burned T70. Looks like there was an engine fire. Photo courtesy of the Tank Destroyer Association by L. L. Gill, TDA Historian. Burned T70, probably from an engine fire. Photo courtesy of the Tank Destroyer Association by L. L. Gill, TDA Historian. 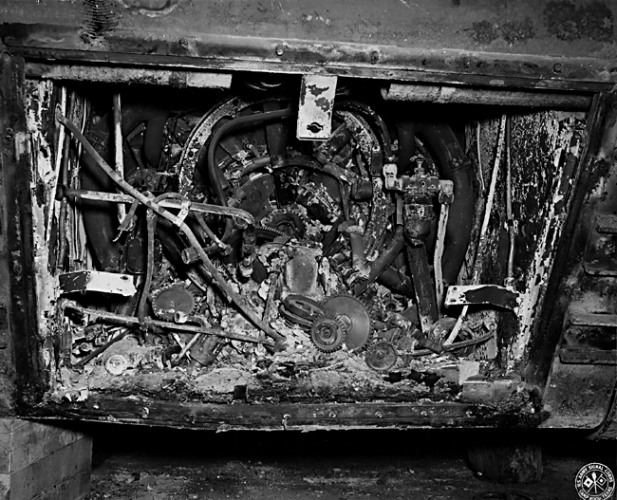 Burned engine from the T70. 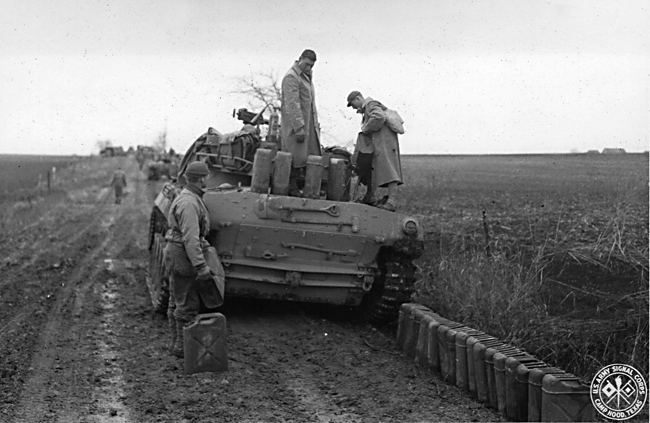 Photo courtesy of the Tank Destroyer Association by L. L. Gill, TDA Historian. Cutting barbed wire off of a T70. 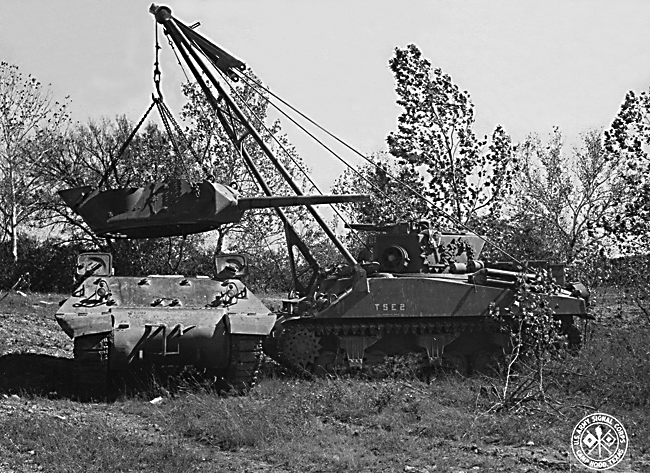 Photo courtesy of the Tank Destroyer Association by L. L. Gill, TDA Historian. 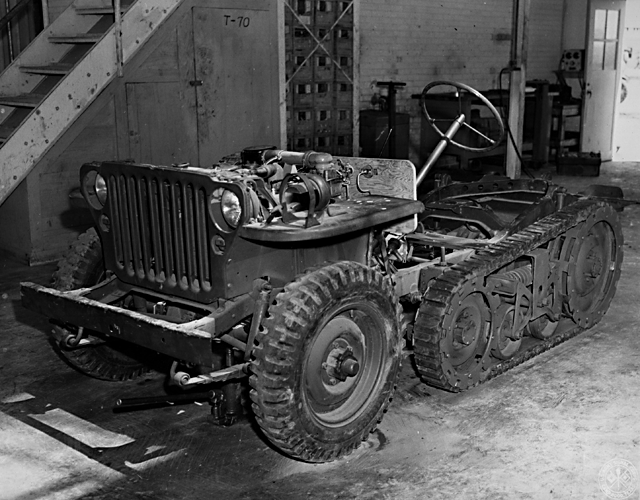 Experimental jeep with tracks mounted on the rear. Photo courtesy of the Tank Destroyer Association by L. L. Gill, TDA Historian. 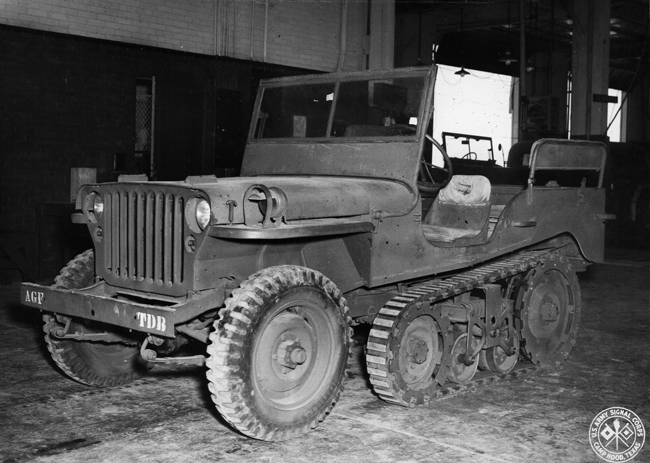 Experimental jeep with tracks mounted on the rear. The tracks look very narrow and don't appear that they would provide much flotation in soft conditions. Photo courtesy of the Tank Destroyer Association by L. L. Gill, TDA Historian. Experimental jeep moved outside. A makeshift seat and what looks to be a fuel tank have been added. Photo courtesy of the Tank Destroyer Association by L. L. Gill, TDA Historian. 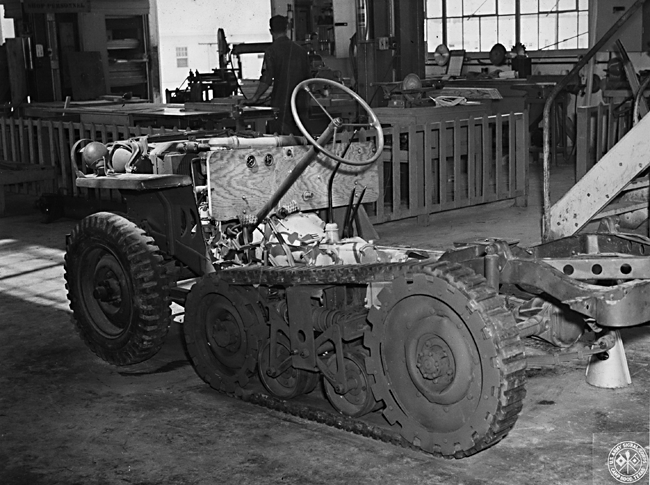 Experimental jeep with the body in place. Another good view of the narrow tracks in the rear. Photo courtesy of the Tank Destroyer Association by L. L. Gill, TDA Historian. 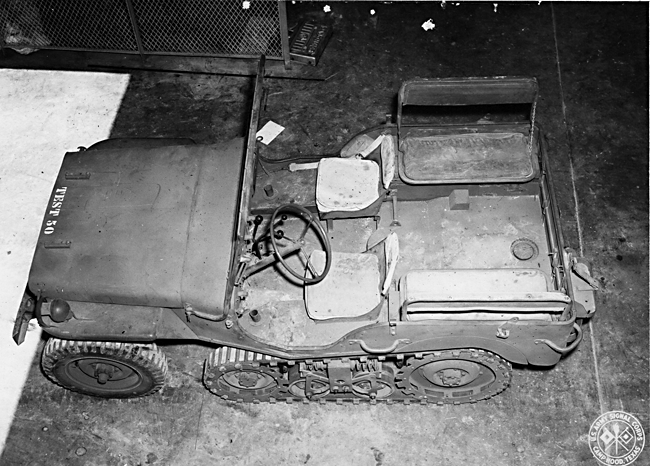 Overhead view of the experimental jeep showing the seating position. Photo courtesy of the Tank Destroyer Association by L. L. Gill, TDA Historian. 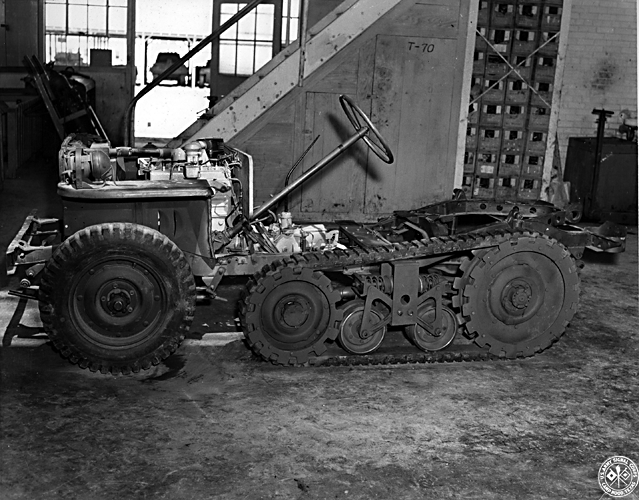 A closeup view of the track assembly on the experimental jeep. Photo courtesy of the Tank Destroyer Association by L. L. Gill, TDA Historian. 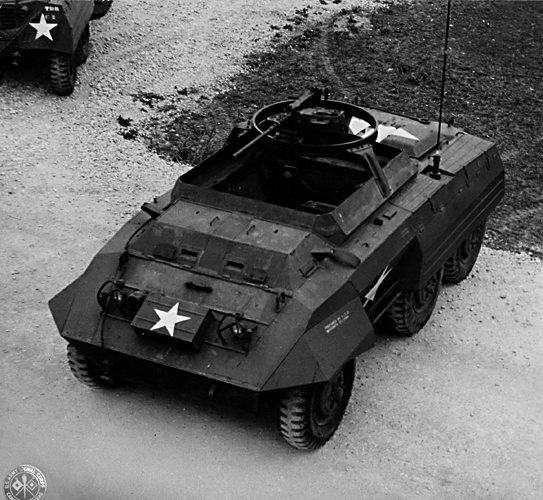 An experimental M-8 armored car at Camp Hood. Photo courtesy of the Tank Destroyer Association by L. L. Gill, TDA Historian. 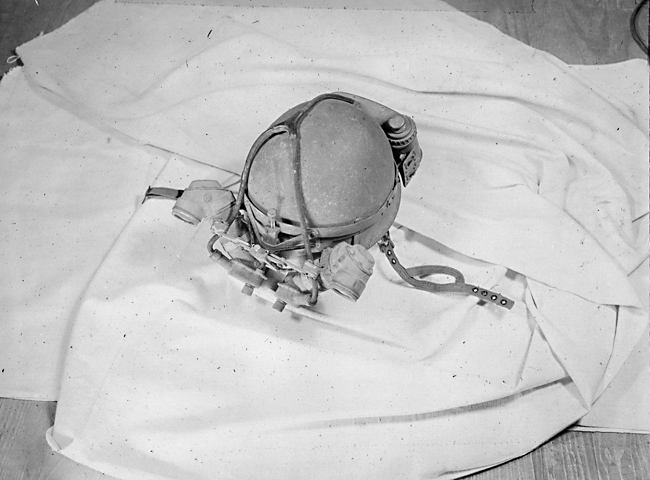 Experimental night vision equipment. Photo courtesy of the Tank Destroyer Association by L. L. Gill, TDA Historian. 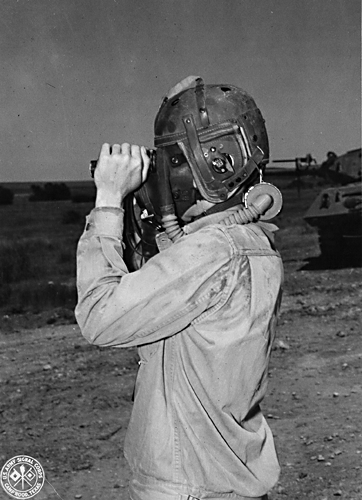 Experimental night vision helmet. Photo courtesy of the Tank Destroyer Association by L. L. Gill, TDA Historian. 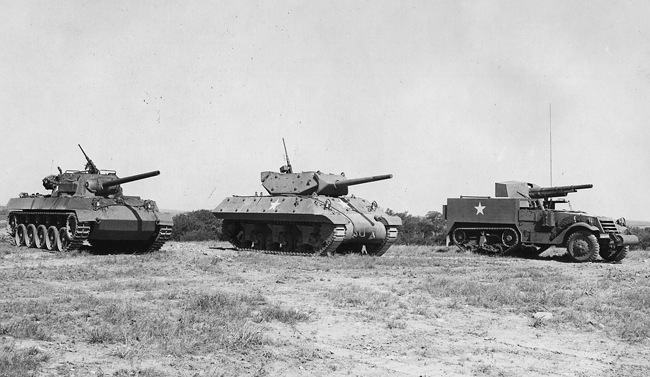 Four different tank destroyers at Camp Hood in 1945. L to R: M-3, M-10, M-18 and M-36. Photo courtesy of the Tank Destroyer Association by L. L. Gill, TDA Historian. Fueling a T70 by hand. This is likely during the 1000 mile trip to the Gulf of Mexico. Photo courtesy of the Tank Destroyer Association by L. L. Gill, TDA Historian. Fueling a T70 by hand. This guy looks tired. Photo courtesy of the Tank Destroyer Association by L. L. Gill, TDA Historian. 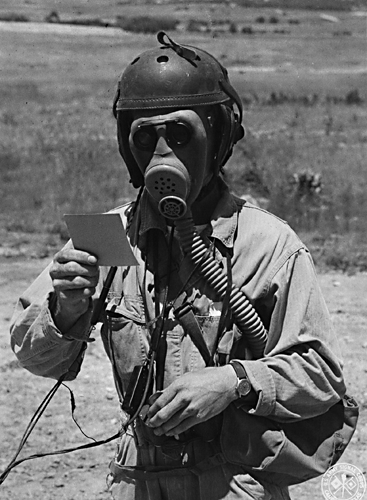 This looks to be an experimental type of gas mask that has the capability to transmit and receive voice communications. This guy is probably reading something on the card. Photo courtesy of the Tank Destroyer Association by L. L. Gill, TDA Historian. This looks to be a different type of experimental gas mask with the soldier using binoculars. Photo courtesy of the Tank Destroyer Association by L. L. Gill, TDA Historian. 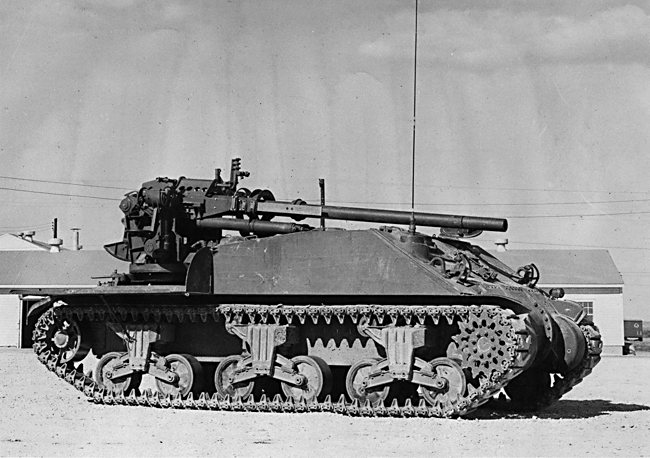 Some type of a large caliber gun mounted on a modified M4 chassis at Camp Hood. Photo courtesy of the Tank Destroyer Association by L. L. Gill, TDA Historian. 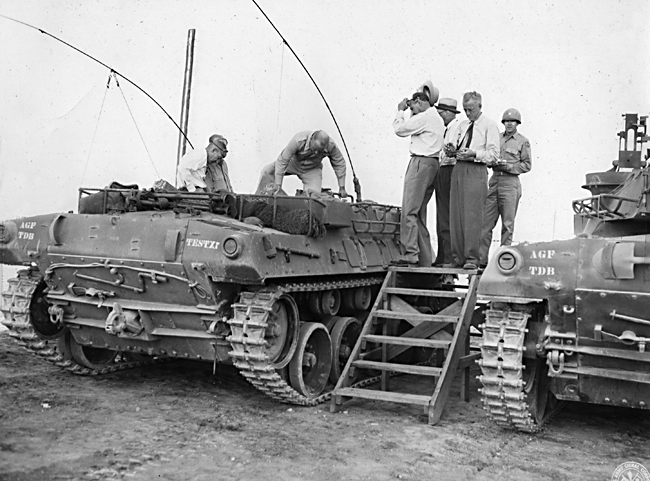 Civilian and military inspectors looking at two different experimental versions of the T70 chassis. Photo courtesy of the Tank Destroyer Association by L. L. Gill, TDA Historian. Four nurses getting a ride in a T70 at Camp Hood, Texas. Photo courtesy of the Tank Destroyer Association by L. L. Gill, TDA Historian. 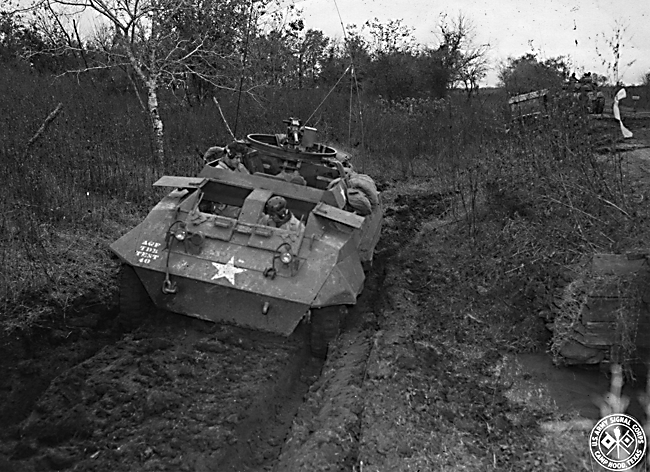 An M3 tank destroyer pulling out of a creek. Photo courtesy of the Tank Destroyer Association by L. L. Gill, TDA Historian. 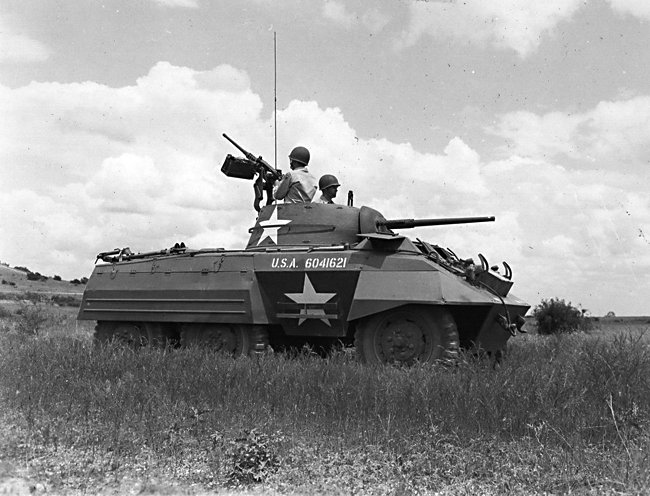 An M-8 armored car in 1945. Photo courtesy of the Tank Destroyer Association by L. L. Gill, TDA Historian. 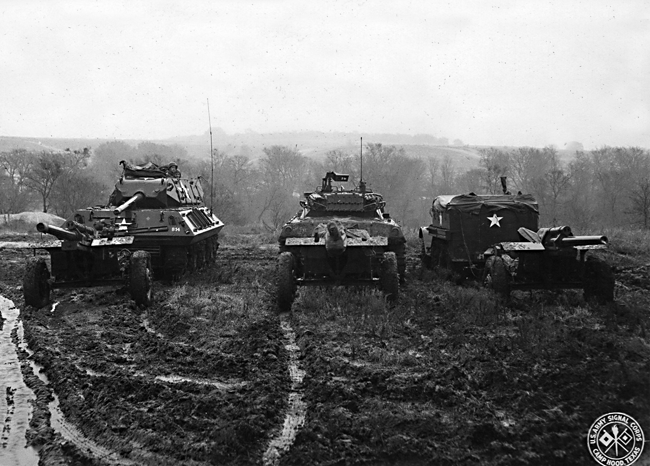 L to R: An M-10, T70 and M3 half-track all pulling towed guns. Looks like it's raining pretty hard. Photo courtesy of the Tank Destroyer Association by L. L. Gill, TDA Historian. 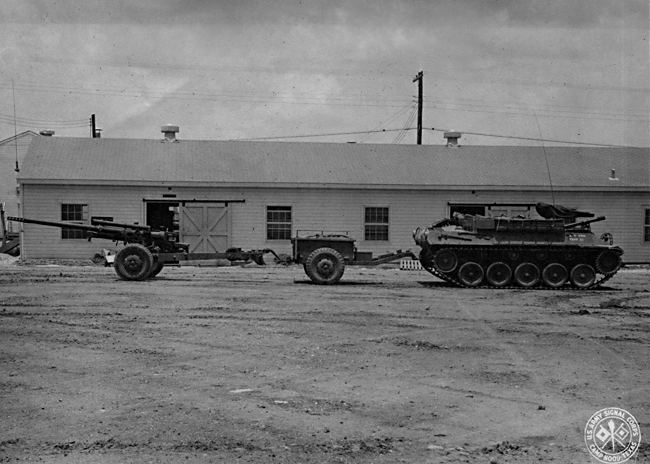 An M-10 and T70 in the field at Camp Hood, Texas. Photo courtesy of the Tank Destroyer Association by L. L. Gill, TDA Historian. 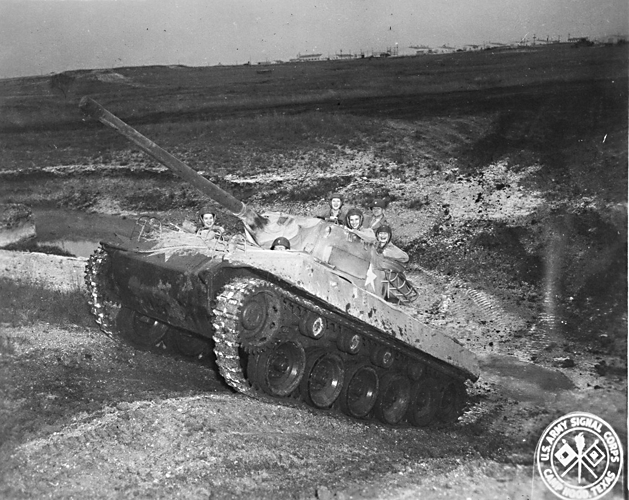 An M-10 tank destroyer stuck in a ditch. Photo courtesy of the Tank Destroyer Association by L. L. Gill, TDA Historian. 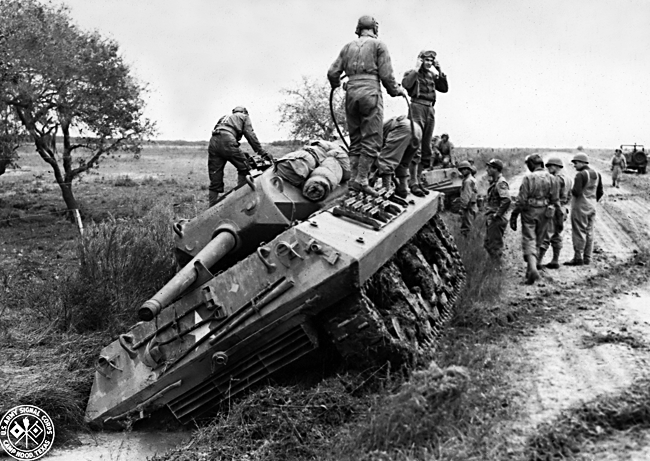 An M-10 tank destoyer stuck in a ditch. Looks like the crew is preparing to try pulling it out. Photo courtesy of the Tank Destroyer Association by L. L. Gill, TDA Historian. 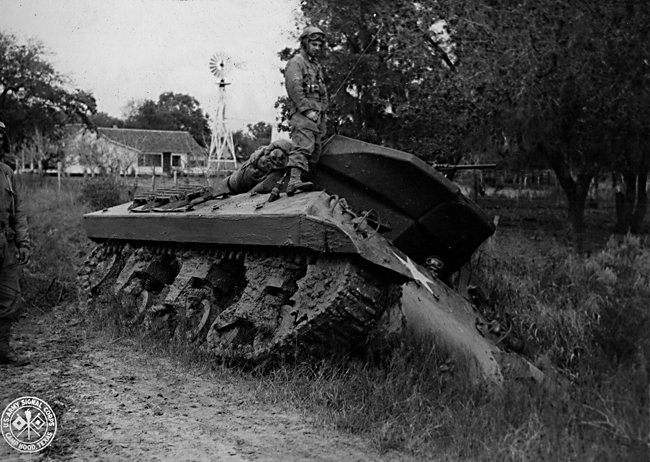 An M-10 tank destroyer stuck in a ditch. Looks like they are getting ready to try pulling it out. Photo courtesy of the Tank Destroyer Association by L. L. Gill, TDA Historian. 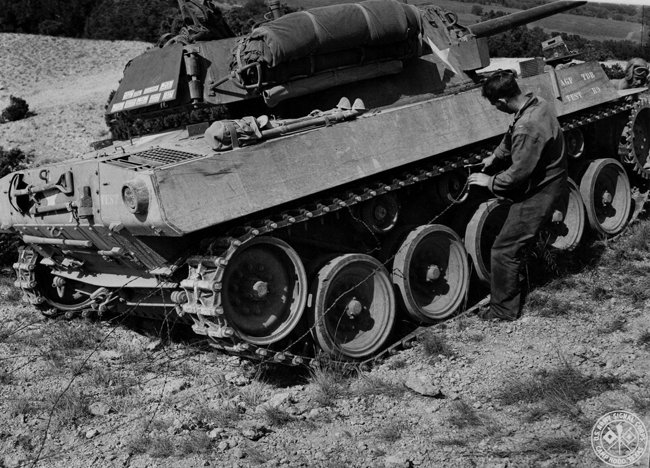 A tank retriever removing the turret from an M-10 tank destroyer. Photo courtesy of the Tank Destroyer Association by L. L. Gill, TDA Historian. 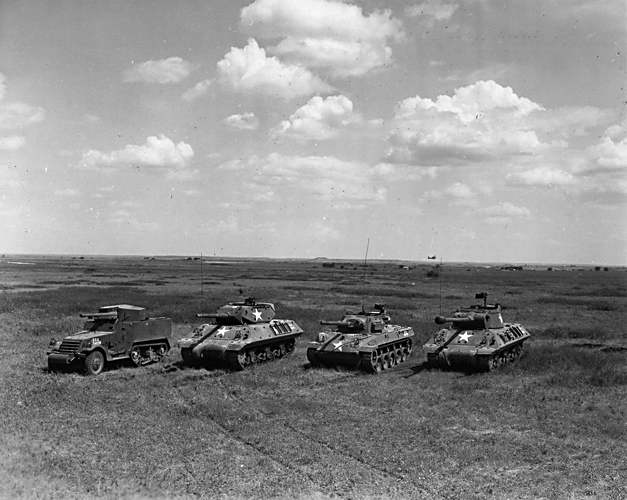 L to R: T70 (later standardized as the M18), M10 Gun Motor Carriage and the M3 GMC tank destroyers. Photo courtesy of the Tank Destroyer Association by L. L. Gill, TDA Historian. 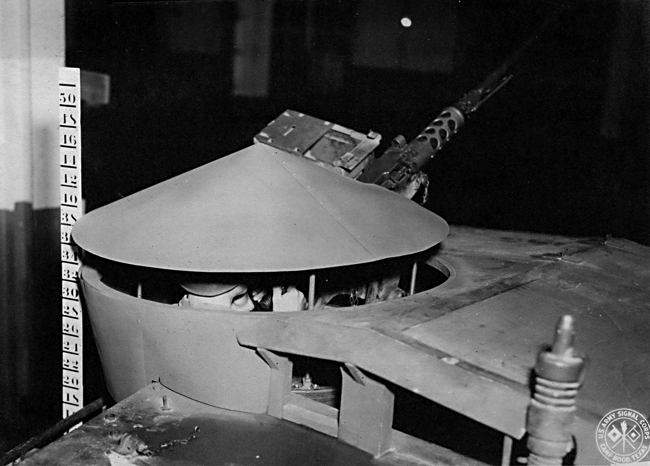 A .50 caliber machine gun bay with an armored roof. 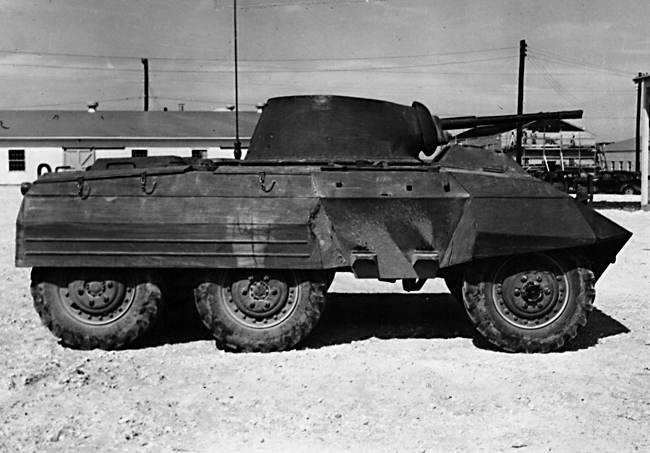 This may be on the experimental APC version of the T70 chassis. Note the measuring stick at the left side. 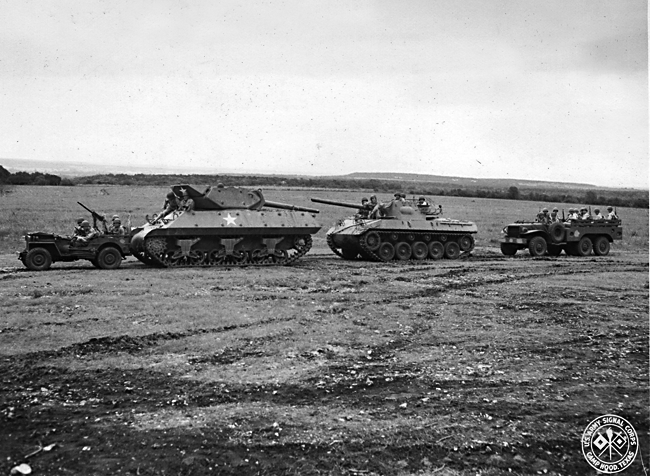 Photo courtesy of the Tank Destroyer Association by L. L. Gill, TDA Historian. 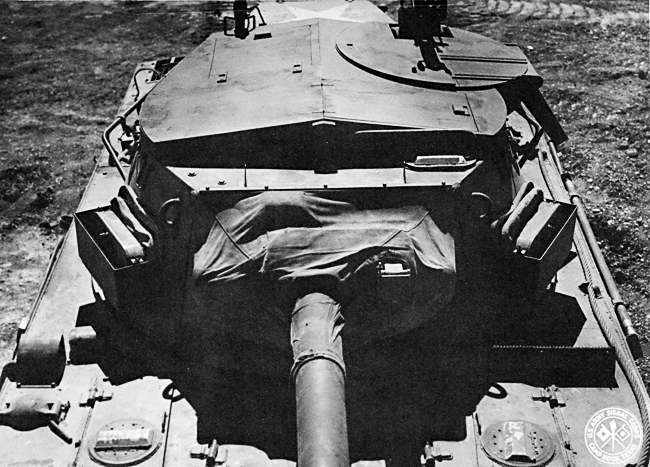 An experimental armored top on the turret of a T70. Photo courtesy of the Tank Destroyer Association by L. L. Gill, TDA Historian. 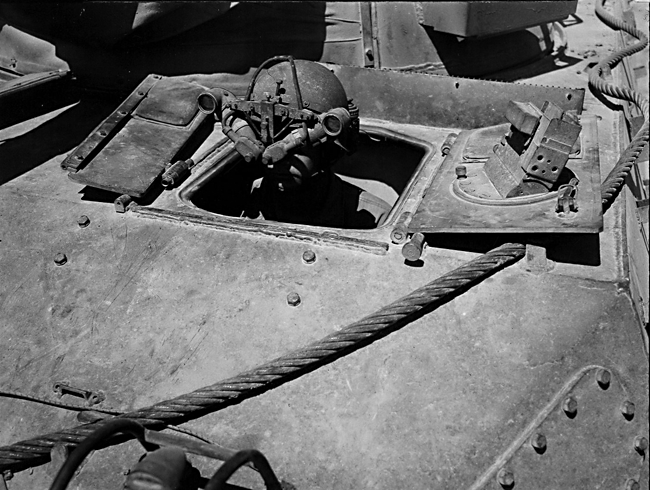 An experimental armored roof on the turret of an M36 tank destroyer. Photo courtesy of the Tank Destroyer Association by L. L. Gill, TDA Historian. Not really sure what this is. 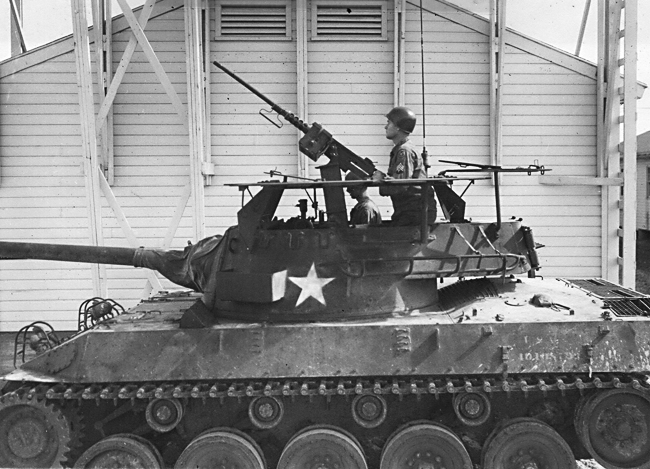 The .50 caliber machine gun mount is quite different from the production mount on the T70/M18 tank destroyer. Photo courtesy of the Tank Destroyer Association by L. L. Gill, TDA Historian. 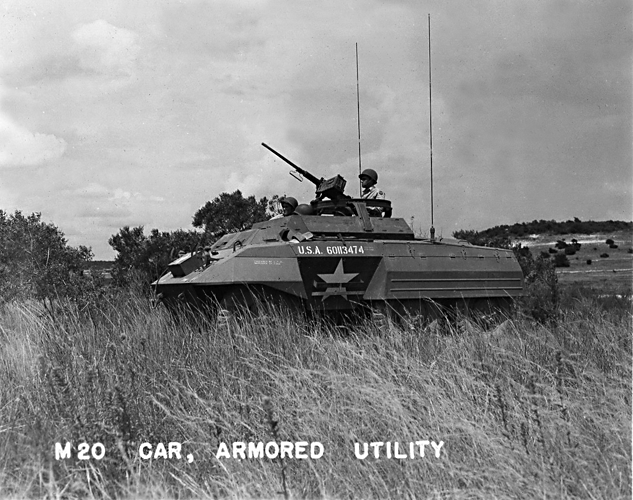 An M20 Armored Utility Car in 1945. 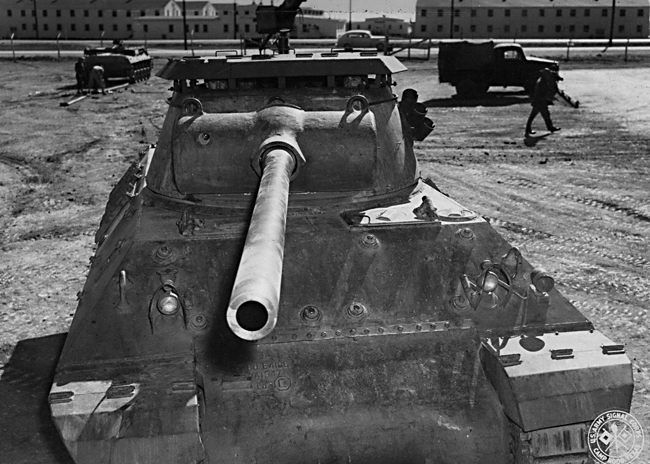 Photo courtesy of the Tank Destroyer Association by L. L. Gill, TDA Historian. 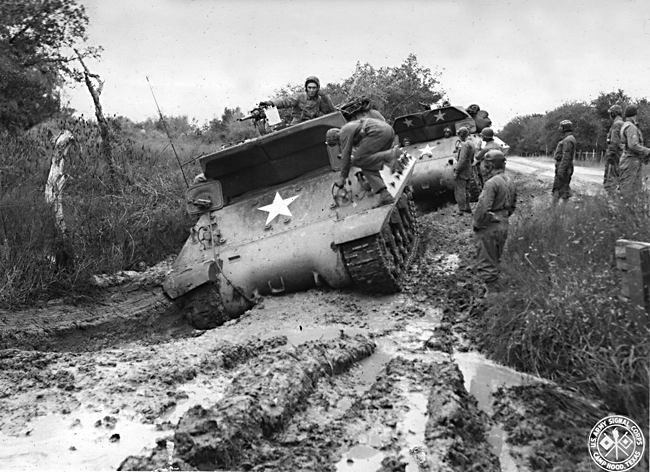 An M20 Armored Utility Car stuck in some deep mud. Note all of the crew gear stowed on the rear deck. Photo courtesy of the Tank Destroyer Association by L. L. Gill, TDA Historian. 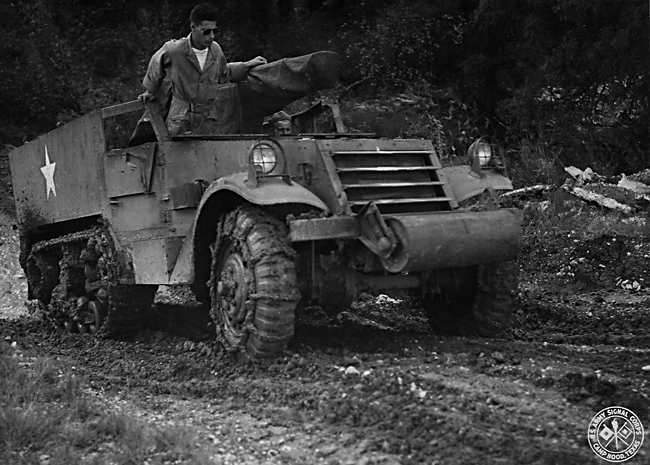 An M20 Armored Utility Car negotiating a muddy road. Photo courtesy of the Tank Destroyer Association by L. L. Gill, TDA Historian. 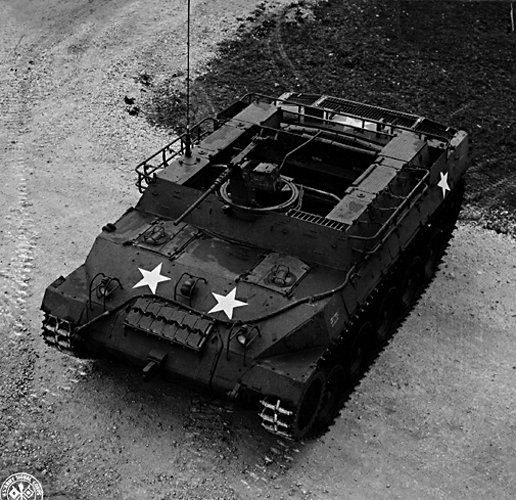 An aerial view of an M20 Armored Utility Car. 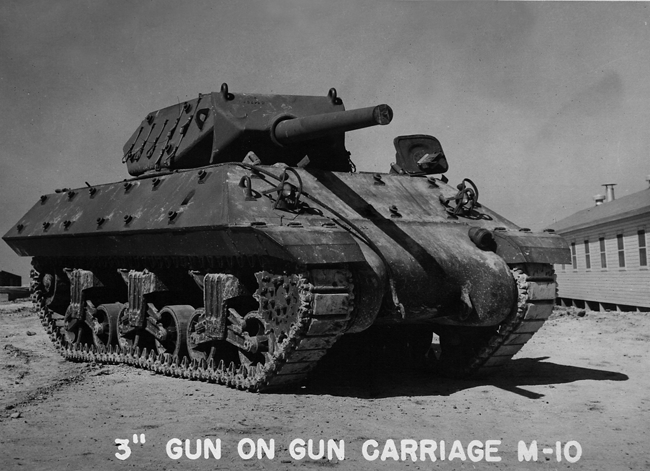 Photo courtesy of the Tank Destroyer Association by L. L. Gill, TDA Historian.